The electrical service in your home or business is delivered through your circuit breaker box. Each of these circuits is designed to service a specified load. In electrical terms, a circuit's load refers to the amount of electrical capacity a circuit is capable of handling safely and effectively. 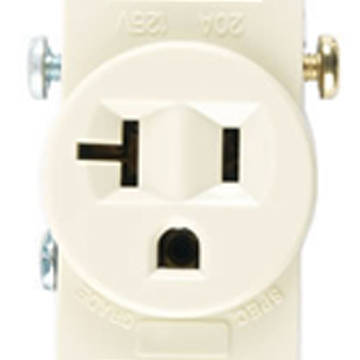 In the case of smaller appliances, light fixtures, and ceiling fans, a standard 20 amp circuit may be capable of servicing multiple outlets and items at the same time. In the case of larger appliances, such as your stove, water heater, and air conditioning system, a larger circuit is usually required. This circuit should be a dedicated circuit, a single-purpose circuit servicing a single outlet. Not every electrical service in Orlando might be able to tell you this. Without an appropriately-sized dedicated circuit, larger appliances may draw more electrical current than the circuit can effectively handle. If this happens, your breakers will trip and, in the event of inadequate circuit breaker protection, overheated and melted wires resulting from overcurrent can cause a dangerous electrical fire. Larger appliances aren't the only items that might require a dedicated circuit. In business environments, it's extremely important that your critical computer systems operate on dedicated circuits. This will help prevent stability and performance issues caused by fluctuations in a circuit's current. If your circuit breakers are tripping or you notice lights flickering or spontaneous shutdown of appliances or computer systems, it's a good idea to contact your electrical company in Orlando to visit your home or business for an assessment of your electric circuitry. We'll determine how many circuits are servicing your home or business, whether or not there are enough dedicated circuits for your requirements, and whether or not each circuit is designed to handle its load. If we determine that you need an electrical service size upgrade, we can handle that, too.